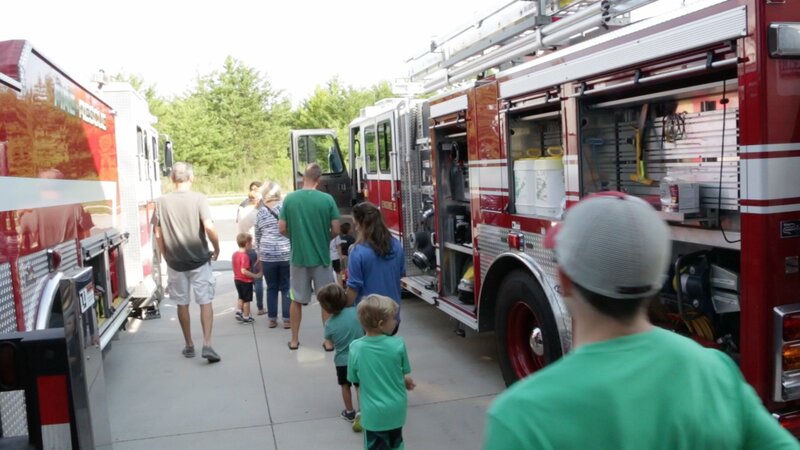 The Tega Cay Fire Department hosted a successful new program for kids called Firehouse Story-time. 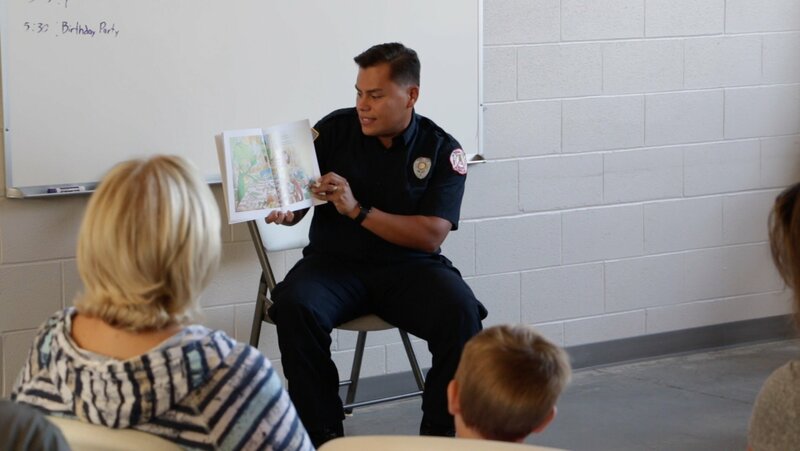 Kids 3 and up and their parents were invited to Tega Cay Fire station 1 Saturday morning August 25th where Fireman Fernando Diaz read a story to the kids and more. 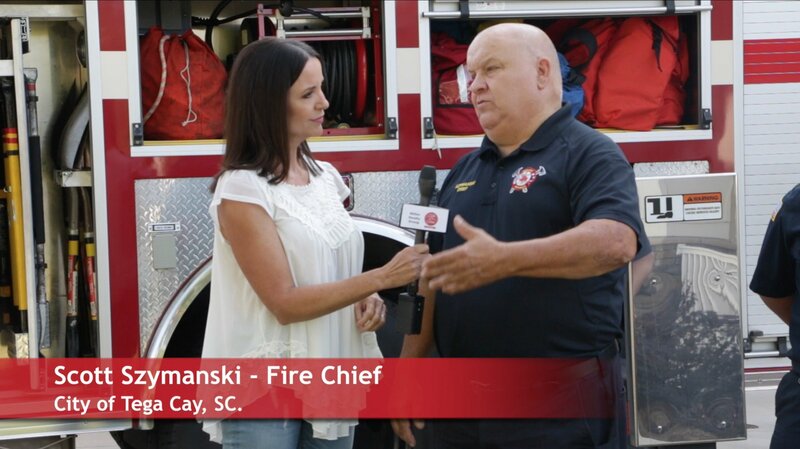 Talk of the Town Carolinas host Patti Mercer interviewed 4 firefighters, and Fire Chief Scott Szymanski to find out more about their new community outreach programs. In this Talk?of the Town Carolinas hear from Firefighter Fernando, Eli, Dan, Bobby on their role in this event. 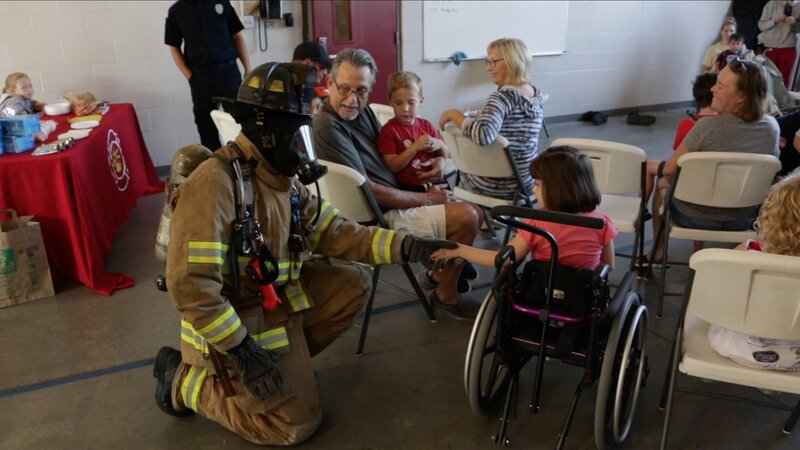 Besides reading to the kids, The group discussed fire prevention exit plans, saw a firefighter suit up in his full gear, get to see fire trucks and gear, and saw a firefighter Dan raise and climb a 77 foot ladder on a fire truck. 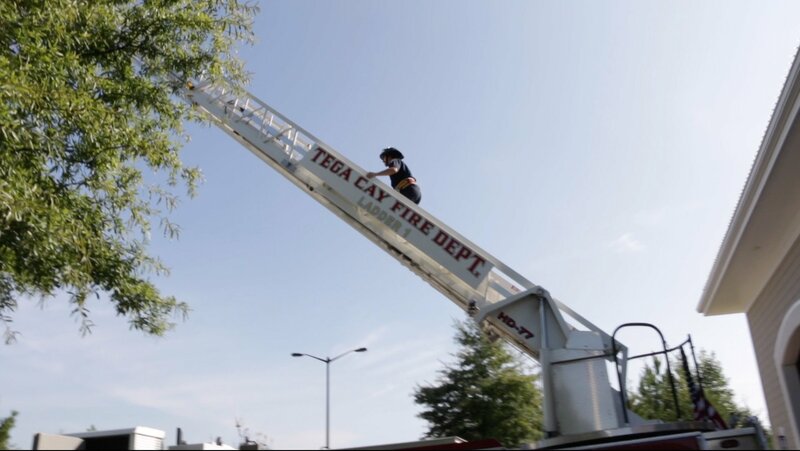 The Tega Cay Fire Department plans on having the Firehouse Story-Time every month until the end of the year. Fire Chief Scott Szymanski also plans on other community outreach programs like scouts sleeping overnight at the fire station in the future.